Winner of for Large Agency of the Year award for our work with Ann Summers, DW Fitness First & Love Energy Savings. Having worked as in-house marketers for leading brands, our team of experts know exactly how it feels to have a Board of Execs expecting big things, and just how hard it can be to find an agency with the drive to see it all through. That’s why we decided to set up an agency with a difference. An agency that truly understands what it’s like to be in our clients’ shoes, the challenges you face, and what you need to tackle them head-on. It’s that powerful insight which makes us unique. It’s what sets us apart from anyone else, and it’s why we’re best placed to deliver the focus, clarity of communication and commercial results that our clients want, need and deserve. "Bring Digital’s approach has been a real breath of fresh air for our business. More than any other digital marketing agency we have previously worked with, Bring Digital have taken time to understand DW Fitness Clubs’ commercial goals." "The team at Bring have really submerged themselves within the business, spending time with our buying, merchandising and marketing teams. They regularly come to us with ideas on how they can support us with our strategy, and have influenced a way of working within the business that considers SEO at every touch point." The campaign executed by the team at Bring Digital delivered massive growth in both organic search traffic and organic search visibility. MyDentist, which is Europe's largest dental care provider, saw increased bookings across its 600 dental practices thanks to the work carried out by Bring Digital. "Bring Digital designed and developed the new St Brelades Bay website in mid 2016. We were extremely impressed with the web team at Bring who delivered our new website on time and within brief. Since launch we have had some great results from our new site and we continue to lean on the team at Bring for support with web updates." "We've been impressed by Bring Digital's commercial awareness and focus on our business goals. 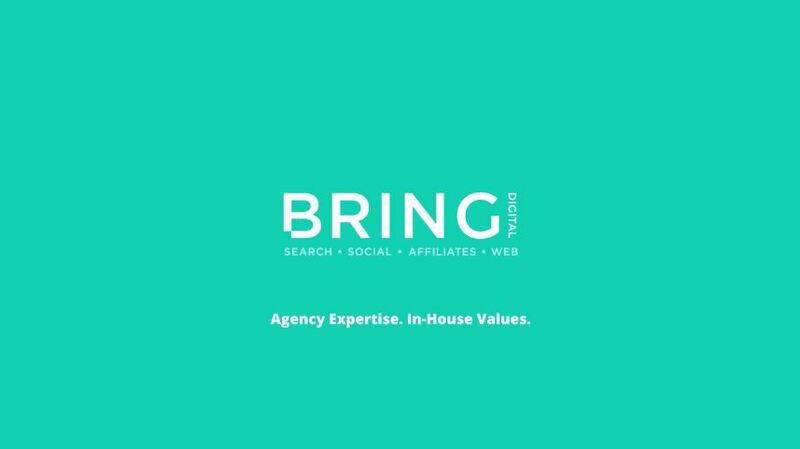 The team at Bring are great to work with and always come with plenty of ideas regarding how we can improve our organic and paid search performance." "Bring Digital have a very straightforward approach to strategy which is to understand and define the core need. They also have the talent and energy to make a significant difference to our online business. The work Bring have done to develop and action our international growth strategy is well thought out and actioned, leading to some significant results to the bottom line."